File this one under Please dear god let this not be a joke. And even if it is, it's still funny. 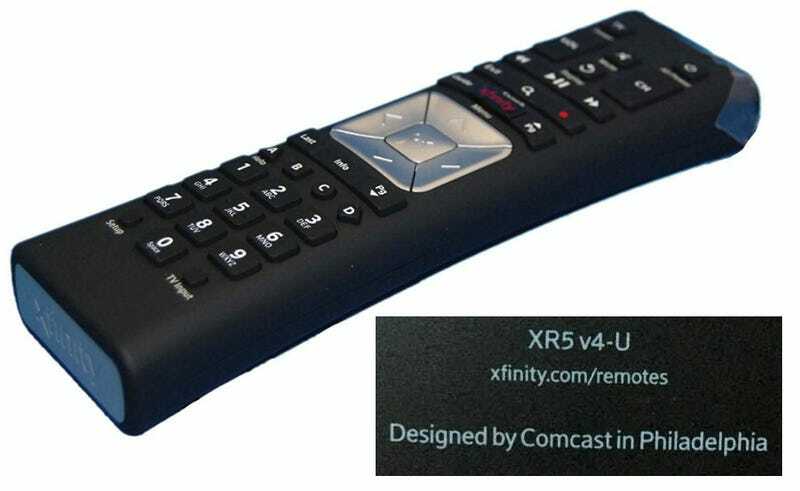 Twitter user John Anthony points out that Comcast's new Xfinity XR5 remote has a stamp on the back that looks very familiar, a fact seemingly confirmed by this eBay post for the remote. In fact, it's pretty much exactly the same as the imprint that Apple's products have on the back. Except as the Verge's Nathan Ingraham comments, rather than "Designed by Apple in California" Comcast is putting "Designed by Comcast in Philadelphia" in the same type. Now, this isn't to say that great things are designed in Philly (love you Philly!) but a Comcast remote is not one of them. On the one hand, it's a weird attempt to style a mundane piece of electronics as a flagship product of a cable box company. On the other hand, it's a hilarious way to co-opt Apple's distinctive design language and it could be a tongue-in-cheek way for that cable company to make fun of itself. Maybe.